Tray measures 14″ x 20″ 1.You pick your paint colors and decorate to personalize. 2. You get to sand your project if desired 3. 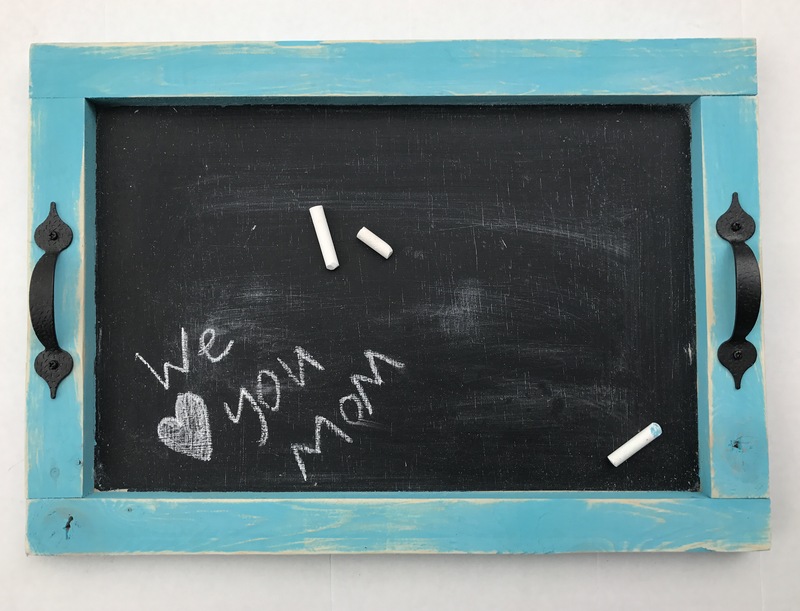 Attach handles 4.You will go home with a piece of chalk to write whatever message you’d like on your tray. 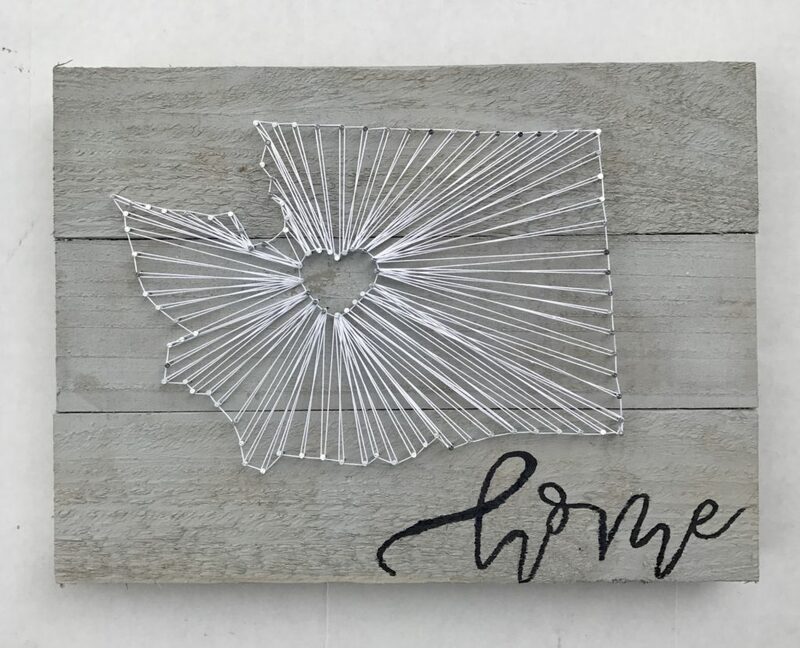 Wood sign measures 10” x 14” – You get to pick out paint color, sand your project, pick out string color and hot glue a coffee filter flower onto your project. 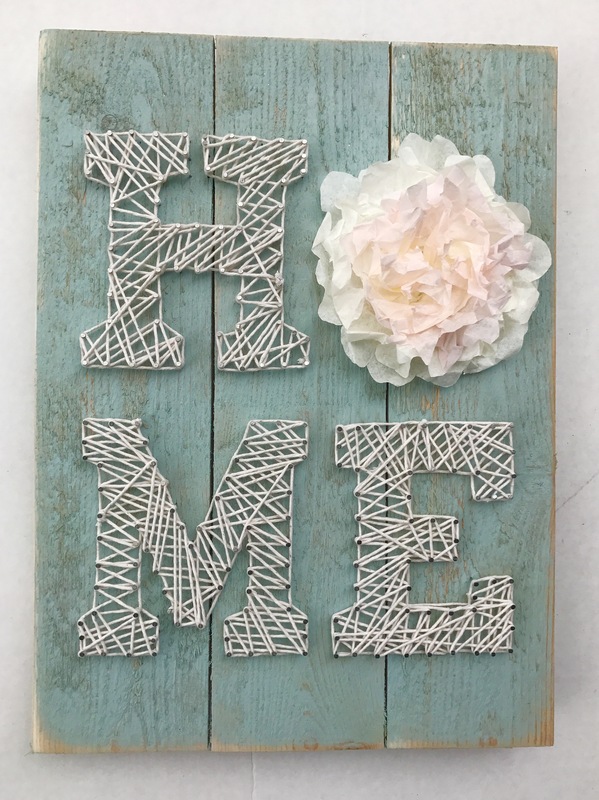 Wood sign measures 10” x 14” – You get to pick out paint color, sand your project and pick out string color. Wood sign measures 7″ x 24″ – You get to pick out paint color, sand your project and pick out string color. You get to pick your own ribbon, felt flower, and clothes pin. 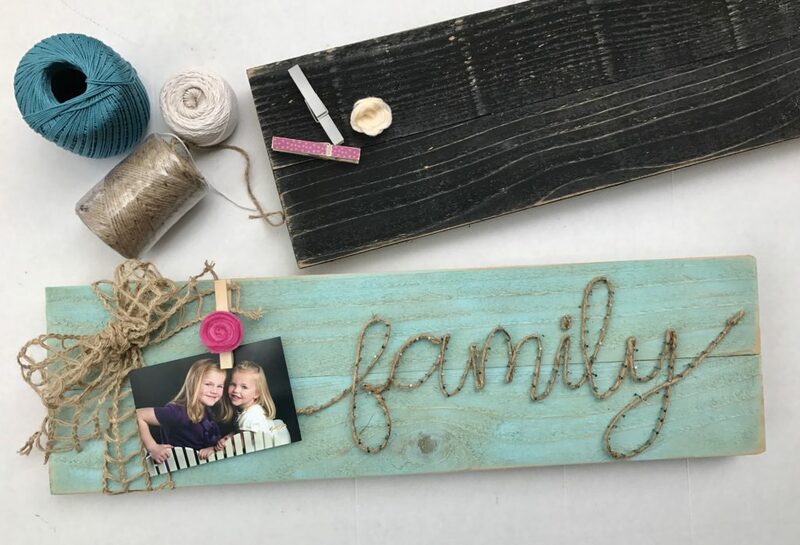 This Mom and Me DIY workshop is designed for a child and any adult as long as the child is accompainied. We recomend ages 5yrs and older. There are three ways to paticitate: 1) buy 2 tickets and both adult and child get to work on and take home a project. 2) buy 1 ticket that way adult and child will work on project together. 3) If you have two children you would like to bring thats great just buy as many tickets as projects you want to take home (please no more than two children per one adult). Come dressed for a mess! We will be painting, sanding and letting our creative juices flow. We have all the supplies you need to create and personalize the project just the way you like it. 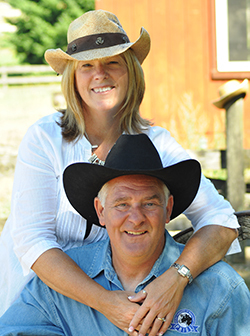 Class size is limited to 10 people, so don’t miss out and register today!